Our most popular swim spa and for all the right reasons, great for swim training, 3 river jets driven by three 300 GPM pumps, sitting and standing therapy positions, exterior and interior LED lighting, laminar water jets, 100 sq. 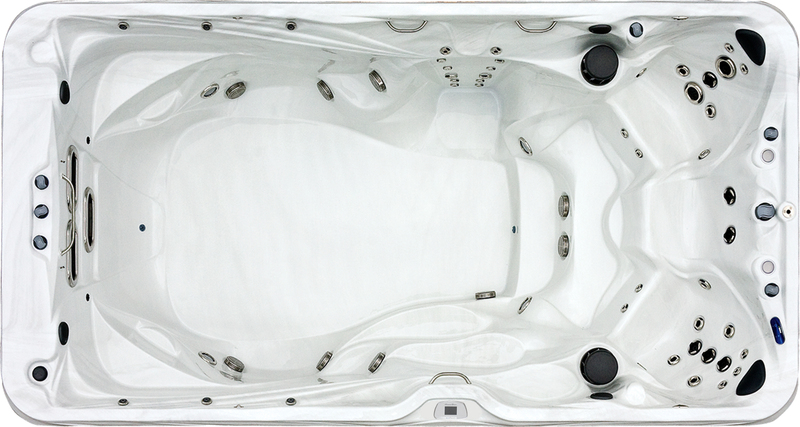 ft. filtration, side entry steps, lighted cup holders and more are all features of the AQ14/AQX14. 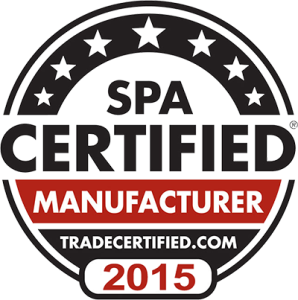 A full 10’6” swim lane, an elevated seat for doing rowing exercises and stainless steel grab rails for entering the hot tub or for doing aquatic exercises are all part of what makes the AQ14 Swim Spa & AQX14 Swim Spa one of the World’s most popular swim spas. 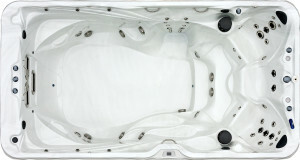 The AQ14 Swim Spa & AQX14 Swim Spa both come equipped with 5 pumps, 3 for swimming, 1 for hydro-therapy and one circulation pump which allows the spa to filter the water and keep the spa sanitized 24 hours a day. The result is clean crystal clear water all the time.